Our Team | Perfect Choice Properties, Inc.
Where every choice is perfect! In her more than 15 years working in the New Hampshire real-estate market, Judith Richard has helped hundreds of people achieve their real-estate dreams. A licensed New Hampshire broker and a member of the National Association of REALTORS®, she is the 2014 recipient of the Capital Region Board of REALTORS® award for REALTOR® of the Year. Hands-on, energetic, capable, and a relentless advocate for her clients’ interests, whether they are selling or buying, Judith specializes in assisting first-time home buyers. “There is nothing about real estate that I don’t love!” she says. With more than 30 years of experience in corporate real estate as well, Judith has extensive knowledge of and experience in all aspects of the real-estate market. She is the current president of the New Hampshire chapter of the Women’s Council of REALTORS®, a national organization dedicated to advancing its members in business and in the communities they serve, and also serves as the treasurer for the Capital Region Board of REALTORS®. She was the 2006 recipient of the REALTOR® Member of the Year Award from both the Central New Hampshire Chapter of the Women’s Council of REALTORS® and the Women’s Council of REALTORS® – State of New Hampshire. 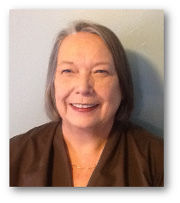 Judith has undergraduate degrees from Franklin Pierce University in accounting and marketing, and an MBA in human resources from the Southern New Hampshire University School of Business. She is a HUD-registered 203(k) specialist. Together, her real-estate experience and academic training have instilled in Judith the unshakeable conviction that people always come first in any transaction. Her personal motto illustrates her high standards and dedication to providing each client with the ideal, Perfect Choice of real-estate agent: Integrity is the single facet that separates a person or institution from mediocrity. Mark Silverstein lived most of his life in New Hampshire. A respected community business leader, he worked as a real-estate broker for more than 30 years and businessman for more than 40. 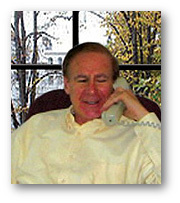 Building on his experience in retail operations and customer service, he began his real-estate career with commercial properties, developing a solid reputation for brokering land purchases, office properties, and restaurants and handling lease and rental contracts before expanding into residential properties. Graduating with a B.S. in political science from Bates College in Lewiston, Maine, Mark also attended St. Paul’s Summer Sessions to focus on entrepreneurship. Owning and operating several businesses in the capital region enabled Mark to develop strong relationships in the regional business community and a solid contact base that proved valuable in securing excellent results for his real-estate clients. A member of both the Concord Board of REALTORS® and the Women’s Council of REALTORS®, he regularly assisted others in building their businesses. As a licensed New Hampshire real-estate associate broker and member of the National Association of REALTORS®, Mark was dedicated to pursuing the best interests of his clients steadfastly and to treating each with integrity. A New Hampshire native, Sharon has lived in the Concord area since 1980. 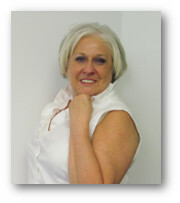 Sharon is a licensed broker and justice of the peace. Over the past fifteen years, Sharon has become known for teaching real estate elective classes and pre-licensing to agents all over the state of New Hampshire. After spending ten years in the title industry, Sharon retired to travel for two years; it was a wonderful experience, but being settled back where the grandchildren are living is an even greater joy. Sharon is happy to be back working with buyers and sellers using her many years of experience and knowledge to help everyone have an enjoyable real estate experience. Having lived in Concord her whole life, Nylora Bruleigh is uniquely qualified to provide insight about the different communities and all attributes including schools and other areas of interest for real estate. When you choose Nylora as your Realtor®, whether buying or selling your home, you are guaranteed staging recommendations and tips, professional photography of your home if you are selling, and personal service that is second to none. You will feel like her only client. Nylora is a Certified Staging Advocate and can help you prepare and arrange the rooms in your home that will best allow buyers to imagine themselves living in that home. Once the staging is complete, Nylora will use her 20 years as a professional photographer to ensure that you have beautiful images of your home and make the best first impression to your potential buyers. Lastly, Nylora works by referral so that she can work hard helping you buy or sell your home rather than searching for new clients. She builds her business by giving you the best possible service so you will recommend her to your friends and family when they need a Realtor®. Contact Nylora today to discuss your needs. She is here for you! You can follow her on Facebook and Instagram. What Is the Difference Between a Competitive Market Analysis and an Appraisal? 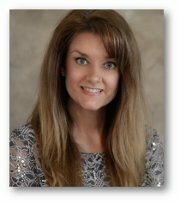 Perfect Choice Founder Honored as REALTOR of the Year! From the Seacoast to the mountains, from rural communities to small- and medium-sized cities, the Granite State offers a community to fit every taste. The Perfect Choice team is here to help you find your perfect property in whichever region of New Hampshire you're looking to call home. Visit the Explore Communities page to learn more about our beautiful state. 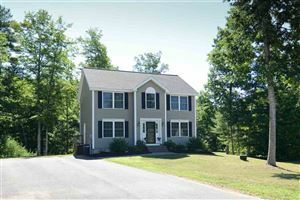 View my New Hampshire properties for sale. © 2013 - 2019 Perfect Choice Properties, Inc. Concord, New Hampshire. All rights reserved.